Above: Andrew Jackson, (later the first Scots Irish President of the USA) commander of US forces in New Orleans, the next target had Ross succeeded at Baltimore. At the Battle of New Orleans, January 1815, Jackson roundly defeated the British army, including regiments which Ross had previously led to such striking success at Bladensburg. The career of General Ross is remarkable for the light it sheds on the Irish military tradition. On the continent, during the Peninsular War, Ross both fought with and against Irishmen or men of Irish descent. This is even more apparent in relation to his short career in America during the War of 1812, a conflict dubbed by some as the ‘Second War of Independence’. The Scots Irish, it is well known, featured prominently in the American Declaration of Independence and in the subsequent War of Independence. 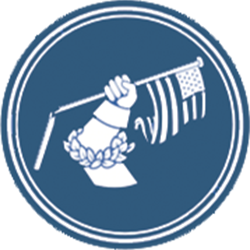 ‘By the time the war ended a significant proportion of Washington’s army and numerous of his staff officers – ten generals and twenty-nine brigadiers – were Ulstermen, or the descendants of Ulstermen’. Less well known is the fact that the Scots Irish and others of Irish descent were so conspicuous in resisting the British during the War of 1812, including the operations in which Ross featured. The Scots Irish mother of Master Commandant Oliver Hazard Perry, ‘hero’ of the US victory at the Battle of Lake Erie in 1813, hailed from Newry, County Down, Northern Ireland. Lieutenant Thomas MacDonagh and Brigadier General Alexander Macomb, the victorious US naval and army commanders at the battles of Plattsburgh and Lake Champlain (both fought on 11th September 1814), were also of Irish descent. Meanwhile, ‘United Irishmen’, who had previously fought for an Irish republic, later mobilised as ‘Republican greens’ in New York under the command of William James MacNevan to resist the British. Among other American Irish contributions to the US war effort the career of Captain Thomas Boyle, skipper of the privateer, theChasseur, was particularly noteworthy. Boyle’s exploits emulated the feats of John Paul Jones during the War of Independence by raiding the British coastline. It was a measure of Boyle’s pluck that he had a notice posted to the door of Lloyd’s of London proclaiming a blockade of British ports, generating newspaper headlines on both sides of the Atlantic. While American militia forces struggled to make an impact on Ross’ regular forces during the Battle of Bladensburg in 1814, the London Times noted that the most serious American resistance was provided by a group of ‘Irish rebels’. According to some accounts, the gunman who shot Ross off his horse as he entered Washington was a ‘club-footed Irish barber’. Meanwhile, General Samuel Smith, who successfully organised the defence of Baltimore, had Ulster family connections. Similarly, Fort McHenry, which featured so prominently during the resistance to Ross’ attack on Baltimore, was named after Dr James McHenry, Secretary for War to both President Washington and President Adams. Of Scots Irish descent, he hailed from Ballymena, County Antrim, Northern Ireland. Ross was killed at a location that was to become known as Dundalk, near Baltimore. (Ironically, Dundalk, County Louth, Republic of Ireland, is not far from Ross’ home village of Rostrevor, County Down, Northern Ireland). Perhaps most remarkable of all are the Scots Irish antecedents of two future presidents of the USA who featured in the military operations in which Ross was involved in America, James Buchanan (Battle of Baltimore, 1814) and Andrew Jackson (defender of New Orleans, Ross’ prospective next target after Baltimore). As Henry Bisharat, from the US Consulate in Belfast, has pointed out, ‘before President Obama, Ulster was the only region of the world outside the U.S. to have “First Fathers”, and not just one , but three – and two of these were involved with Gen. Ross! (The third is Chester Arthur, whose father is from near Ballymena. 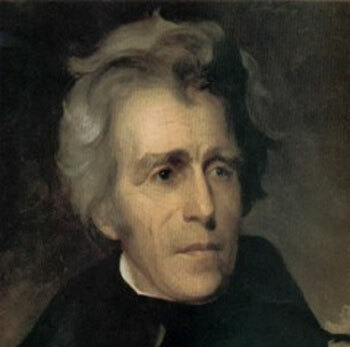 There were also several Presidents with mothers born outside the U.S., including Andrew Jackson’s mother from Carrickfergus)’. ** While mentioning the importance of these Scots Irish links, it is important not to exaggerate them either, as Professor Kevin Kenny has cautioned in his book, The American Irish, (New York, 2000). Scots Irish (or Scotch Irish) they may have been, but these men were primarily motivated by American patriotism. Similarly in relation to the enthusiasm of Irish Republican refugees for the American war effort, Professor Kevin Whelan (Notre Dame) stresses that ‘they took advantage of the war against Britain to exhibit their loyalty to America’, as he explains in a chapter in his forthcoming book. Sources include: The American Presence in Ulster by Francis M.Carroll, p.9; Henry Bisharat, US Consulate, Belfast, N.Ireland.